She was the last surviving member of her nuclear family. Her children lived a number of states away and did not get to visit with her very often. It was so important to her that she had not been forgotten, that her church, someone from her church, someone from the outside world remembered her, and called her by name. She was not forgotten. Many years later, when Israel is in exile in Babylon, when the people of Israel feel abandoned, God speaks through the prophet Isaiah: “Can a mother forget the baby at her breast and have no compassion on the child she has borne? Though she may forget, I will not forget you! See, I have engraved you on the palms of my hands.” (Isa. 49:15-16) The people of Israel have not been forgotten. Their names are carved in the palm of God’s hand. God will redeem them. From the cross a thief cries out to Jesus: “Jesus, remember me when you come into your Kingdom.” (Luke 23:42) Jesus responds: “This day you will be with me in paradise.” (Luke 23:43) He will not be forgotten. From the cross Jesus promises redemption. He will not forget. There is a real difference between dis-membering and re-membering. To dis-member something is to take it apart. It is to separate the parts from the whole. To be dis-membered is to be removed from the group, the community, to be cast off, to be forgotten. The work of Jesus is re-membering. Jesus remembers, restores, redeems, makes whole. The Gospel is packed with stories of Jesus going to, touching, healing, and remembering people who have been dis-membered, cut off, pushed to the margins of society. He touches lepers and cleanses them. He hears the cry of the poor and the blind. He heals the sick, claims prostitutes and tax collectors, remembering that they too are children of God. One of the earliest Christian hymns (Phil. 2:5-11) celebrates that Jesus takes the form of a slave, the most oppressed and forgotten of all people, so that no one is lost, or left behind, or forgotten. 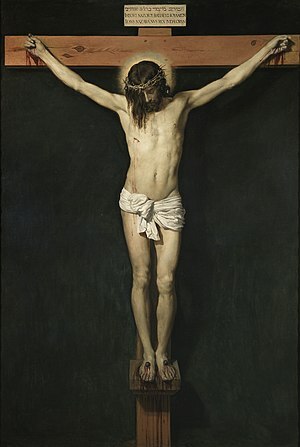 From the cross he promises to remember the thief crucified next to him. We are living in tumultuous times. We can begin to feel as if we are forgotten. But the good news of the Gospel is that we are not forgotten. We are moving toward Holy Week, which begins on Palm Sunday, and ends with the celebration of Easter. It is the story of how far God goes to remember and restore us. Jesus goes all the way to a place so dark it is called the place of the skull. He even enters the grave, the darkness of death. And God remembers and raises him from the grave! His victory is our victory! God would have it that no one is forgotten or left behind. And that is good news! This entry was posted in Faith, Journaling, Scripture and tagged Christianity, Easter, God, Religion and Spirituality by revbillcook. Bookmark the permalink. Thank you, Bill, for the reassurance and reminder. I know we only need to ask once, but the repetition realigns me and brings me out of that darkness. So I’m listening to one of my favourite hymns – under the same title as your blog. Beautifully written and evocative. A wonderful remembering of Truth. Hi – this is Chloe from “Writing Days-Happy Days” with my new blog. Just to let you know I’ve subscribed to your blog now as Blossom Dreams. Please visit if you get a chance (if you haven’t already). Happy Easter, Rev. Bill. Two years later and I’m doing a “double dip” on this fabulous post. I decided to let you know you are also not forgotten. If you have given the blog world a rest, I want to thank you for what you shared with us. And, inspired by this post once more, I just attempted harmonizing with Taize. O Wretched Vocal Cords.